One of the perks of the job is getting to visit manufacturers and witness them unveil new machines. We did just that in April when John Deere introduced its 310SL HL backhoe. This heavy-lift model delivers up to 25 percent more backhoe-lift capacity under normal conditions than comparable John Deere K-Series models. Utilizing the sealed-switch module (SSM), operators can get an additional 10 to 15 percent boost through the new Lift Mode feature. Engine rpm is automatically set at 1,400 and the machine maximizes hydraulic pressure for increased craning capability. The addition of pressure-compensated load-sensing (PCLS) hydraulics allows for multifunction operation. The 310SL HL also delivers all the advantages of PCLS hydraulics in the 14- to 15-ft digging-depth category, enabling operator efficiency and productivity through improved multifunction control. According to John Deere, the 310SL HL is the company’s most versatile backhoe ever. For more information, visit www.deere.com. 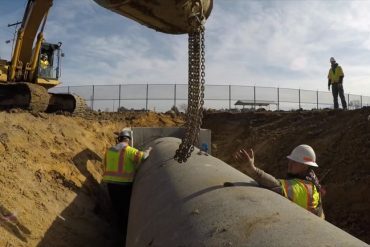 Trench shoring and shielding equipment plays a quiet, but important, role in keeping crews safe on the job. As a leader in the business, National Trench Safety (NTS) is making some noise with its new Lite Guard Aluminum Trench Shield. 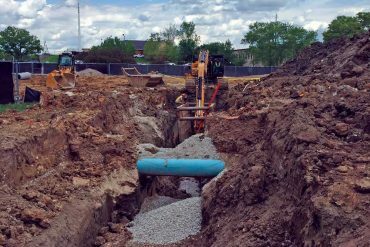 NTS says it’s the first eco-friendly trench safety product to be introduced into the U.S. market and is the solution to an increasing demand from contractors for lightweight shoring and shield systems. Over the last decade, the shoring industry has been driven by an increased demand for lighter excavation machinery due to tight jobsite working conditions and an increased awareness of the impact of emission consequences associated with heavier excavation equipment. The Lite Guard Aluminum Shield’s patented design helps to fill the void created with conventional systems, as it provides a high-strength, lightweight trench shield built for production applications with the capacity of a typical steel trench shield. By virtue of its light weight, contractors can substitute smaller lifting machinery for a project to better accommodate tight jobsites as well as to lower fuel consumption, emissions and even excavator rental charges if the machine will be rented. For more information, visit www.ntsafety.com. 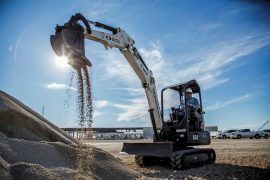 The new EC60E compact crawler excavator from Volvo Construction Equipment is engineered to dig on almost any jobsite — from confined landscape projects to major highway jobs — using a balance of features that increase efficiency, comfort and productivity. 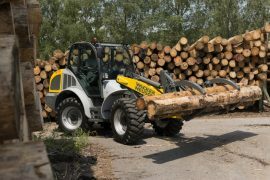 Let’s start with power: Equipped with a Volvo Tier 4 Final engine and adjustable hydraulic flow, the machine offers a 10 percent increase in swing force and lifting capacity, as well as a 20 percent increase in power — all while boasting an 8 percent improvement in fuel efficiency as compared to the prior series model. The impressive lifting capacity of the EC60E lets operators tackle a wider range of job functions while also offering precise, targeted digging in tight work spaces. The EC60E features a new-generation Volvo cab that is 10 percent more spacious than previous models for increased comfort and operator productivity. Operators can also do more with the EC60E since it can be equipped with a wide range of durable attachments for multiple applications, including utility work, building development, agriculture, landscaping and forestry. With a compact design, heavy-duty arm and offset boom, this versatile and powerful excavator is suitable for any application. For more info, visit www.volvoce.com. It’s all about the bottom line these days, and the Cat 336F L XE Hybrid ensures efficiency all around. The 336F L XE features an integrated design that conserves fuel, optimizes performance and captures and reuses energy. 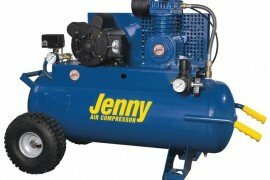 The machine delivers an estimated fuel savings of up to 20 percent compared with its standard 336 counterpart with no compromise in performance and no added maintenance costs. 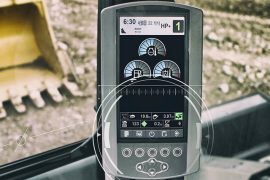 The new Cat Production Measurement system adds even more value by enabling operators to load trucks with just the right weight, while allowing managers to remotely monitor the machine’s productivity. The 308-hp C9.3 engine meets Tier 4 Final emissions regulations without interrupting the operator or the job. Proven electronic, fuel, air and aftertreatment components ensure customer expectations for productivity, fuel efficiency, reliability and service life are met. The fuel efficiency of the C9.3 is further enhanced with automatic engine speed control, a programmable engine idle shutdown feature and an ECO mode that allows operators to tailor machine performance to the application. The engine also runs efficiently on biodiesel blends up to B20. For more information, visit www.cat.com. The right tool makes or breaks a project, and Ditch Witch knows just that. 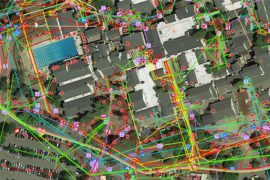 In July, the company released HDD Advisor — the industry’s first web-based, interactive HDD advising tool aimed to simplify the tooling selection process for underground construction contractors. Not having the proper downhole tooling to successfully complete an HDD project can cause contractors costly delays. 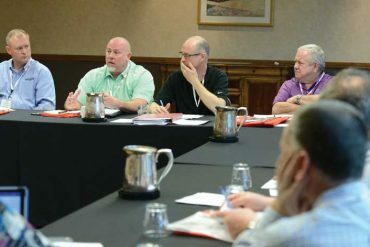 In an effort to assist contractors from making a tooling mistake and causing financial headaches, the HDD Advisor was designed to help take the guesswork out of what tooling is compatible for a specific drill and jobsite application. By answering a few quick questions, contractors can easily use the free tool to determine the correct tooling configurations. HDD Advisor is an intuitive website that allows users to build and save drill string configurations for existing equipment or upcoming jobs. Operators can share their drill strings with their dealer or other operators and print or e-mail summaries from a PC or mobile device. The tool is available for both Ditch Witch and Vermeer drills, as many customers have mixed fleets and need best tooling options for each drill. It is easily accessible via a computer, tablet and smartphone. For more information, visit www.hddadvisor.com. A great piece of machinery is like a puzzle — all of its parts fit perfectly together to make one powerful unit. That’s true for Komatsu America’s second generation, D61-24 dozer. 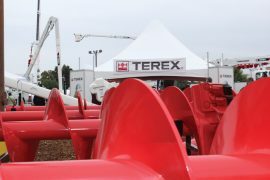 The machine incorporates the company’s innovative super-slant nose design for excellent blade visibility, as well as its parallel link undercarriage system (PLUS), which offers long wear and up to 40 percent lower undercarriage maintenance costs. Rotating bushings eliminate the cost and downtime for bushing turns, and strengthened rollers and links offer up to twice the wear life. In addition to E (economy) and P (power) modes, a new H (high engine speed) mode helps operators of the D61-24 maintain ground speed while operating under heavy loads. This optimization of the hydrostatic transmission and hydraulic system happens automatically, kicking in at higher travel speeds. The H-mode enhancement for high-duty cycle applications allows the D61-24 to maintain speed because the fast-blade capability works in tandem with H-mode to keep a full load on the blade at higher speeds, for maximum production. The D61-24’s auto idle shutdown can be programmed to automatically shut the engine down after idling for a set period of time (from 5 to 60 minutes) to reduce unnecessary fuel consumption and exhaust emissions. For more information, visit www.komatsuamerica.com. In 2015, Doosan Portable Power reached new levels of quality, competitiveness and efficiency. Here’s a big example: Doosan just started making its air compressor airends in house (mostly for its bigger compressors, but small ones eventually). Here’s another: Doosan Portable Power is also starting to equip its machines with Doosan engines, beginning with the P185 Tier 4 Final air compressor. The new P185WDO air compressor is powered by a Tier 4 Final-compliant Doosan D24 engine with a diesel oxidation catalyst (DOC) aftertreatment system, which is virtually maintenance-free. The high-performance engine provides the P185 with reliable power and improved cold starting capability, while delivering a 7 percent increase in fuel efficiency compared to previous models. Proving that power doesn’t have to mean loud, the P185 offers one of the industry’s lowest sound levels at 74 dBA. With the Doosan D24 engine at the helm, the P185WDO delivers 10 hours of runtime at 100 percent load and 500-hour service intervals. With 100 psi at 185 cfm, the P185 meets the needs of a variety of applications, from powering handheld air tools and sandblasting to sprinkler and irrigation line blow-out and pipeline testing. For more information, visit www.doosanportablepower.com. Tier 4 Final emissions regulations for diesel engines are changing the way off-highway equipment works. Units are becoming cleaner and more efficient — like the Case SR270 skid steer — which is the first Tier 4 Final skid steer in the industry to incorporate selective catalytic reduction (SCR) technology. 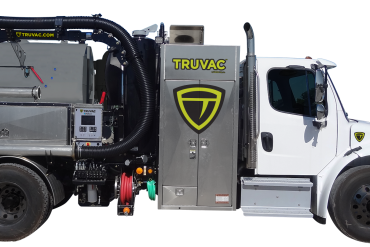 The SCR engine technology pioneered by parent company Fiat uses diesel exhaust fluid (DEF), which helps make the Case SR270 one of the cleanest burning units in the market. Oh, and we should also mention the SR270 is also the largest radial lift skid steer available on the market. With an operating weight of 8,117 lbs and a rated operating capacity of 2,700 lbs at 90 hp, the SR270 features best-in-class torque, breakout force and standard auxiliary hydraulic flow, as well as the industry’s widest cab with best-in-class 360-degree visibility. For more info, visit www.casece.com. Project owners demand more information and detailed documentation — making current planning and recordkeeping processes inefficient and, sometimes, incomplete. HDD contractors can spend valuable hours backtracking to document actual bore details, leaving less time to pursue additional work. InSite Productivity Tools from Vermeer are designed to help contractors better manage their business and make informed, real-time decisions every step of a project. The tools can be used individually or work together, and they can be accessed by multiple parties, helping to eliminate the old manual, on-paper method and provide an electronic record of a project. The suite of InSite Productivity Tools includes six programs — InSite Fleet, InSite Fleet Edge, InSite Projects, InSite BoreAid Design Tool, InSite Mapping and InSite BoreAssist — designed to help contractors worry less about paperwork and focus more on the task at hand. For more information, visit www.vermeerinsite.com.